Helena Anrather is delighted to announce the opening of her exhibition space with a presentation of works exploring the souls of household objects. 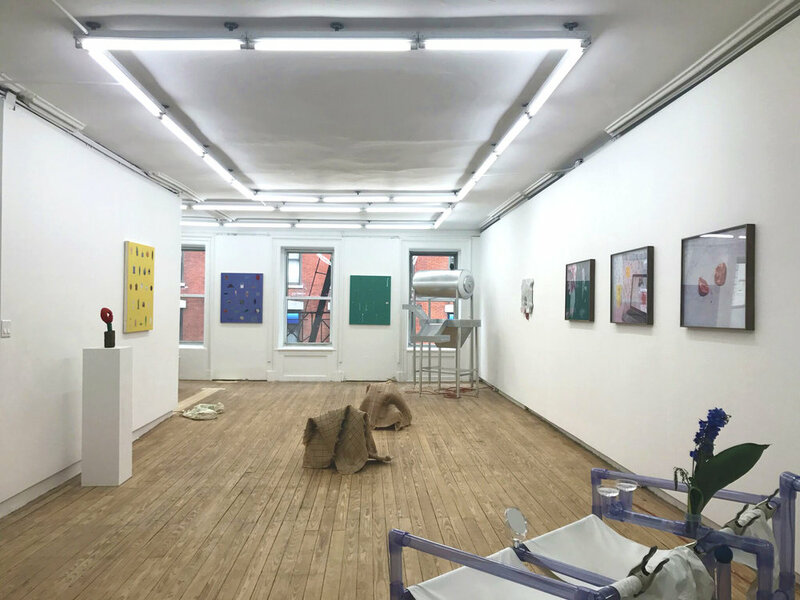 The artists participating in the show are Nanu Al-Hamad, Farah Al Qasimi, Michael Assiff, Dylan Bailey, Dan Herschlein, Akira Ikezoe, Hannah Levy, Michelle Segre, and Kristin Walsh. A Scream Runs Through the House borrows its title from a book by the critic Arnold Weinstein. The text narrates a vivid dream in which a house full of family members – from ancestors to grandchildren – is awoken by a child’s cry: “one person’s pain becomes another’s, across time and space; there are no borders separating us.” The works in the exhibition bring this dream state into the material world, considering a variety of objects that are fantastically charged and coursing with energy. The line between our objects and our selves is sometimes thinner than would seem. In Farah Al Qasimi’s photograph, a laptop, post it, and paper cup atomize her personhood, and their functions stand in as aspects of her physical experience. 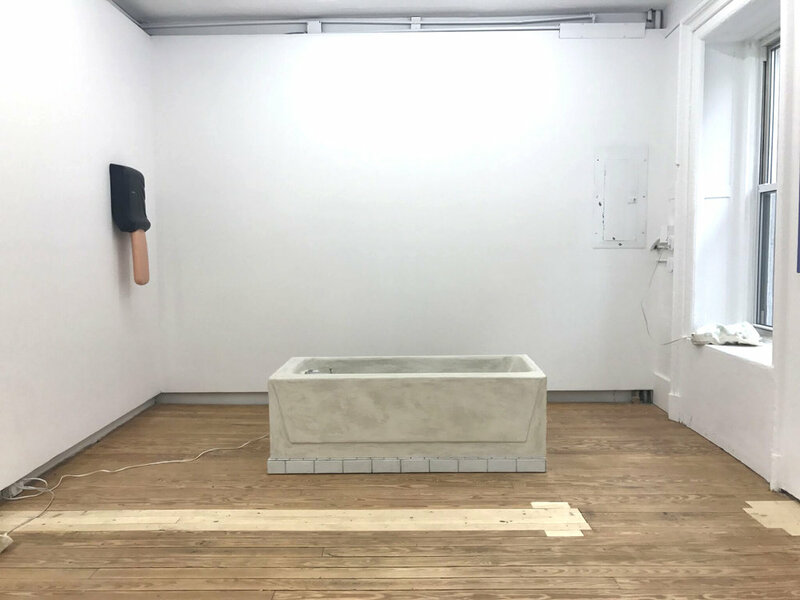 In a similar fashion, Dan Herschlein’s bathtub literally connects a figure with a tub, their psyches coming together in a single form. Contemplating the power of objects leads to ideas around the art object and its ability to act as an emotional connective tissue between people. Michelle Segre’s driftloaf sculptures present toast as porous structure, a membrane preserving the memory of the yeast that formed it. Punctured and painted, they suggest psychedelic portals to another world, and in some sense they are – bread connects us to the earliest of human civilization, and there is a loaf of bread preserved in the Egyptian wing of the Metropolitan Museum. 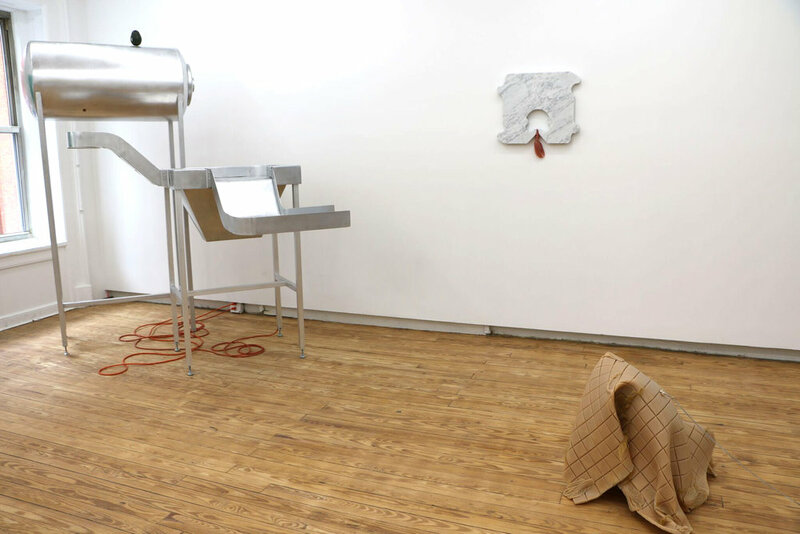 Kristin Walsh’s conveyors support household clutter come to life – a roaming penny, a spinning avocado, a slinking pill – as if an underlying machinery moving the universe of things was briefly exposed. Hannah Levy’s sculptures bring the autonomy of the object into the dimension of rebellion – a bread tag has grown in size to pinch a claw, and mistreated floors have come to life, becoming flesh and fur and rising to move away. Helena Anrather is dedicated to showing emerging and mid-career artists with an emphasis on international perspectives and a commitment to presenting a wide variety of voices. In the spirit of community and exchange, the space is a platform for event-based projects, dinners, screenings, and conversation. For additional information or images related to the exhibition, contact Helena Anrather at (917) 355-7724 or ha@helenaanrather.com. Arnold Weinstein, A Scream Goes Through the House (Random House, 2003), XI.